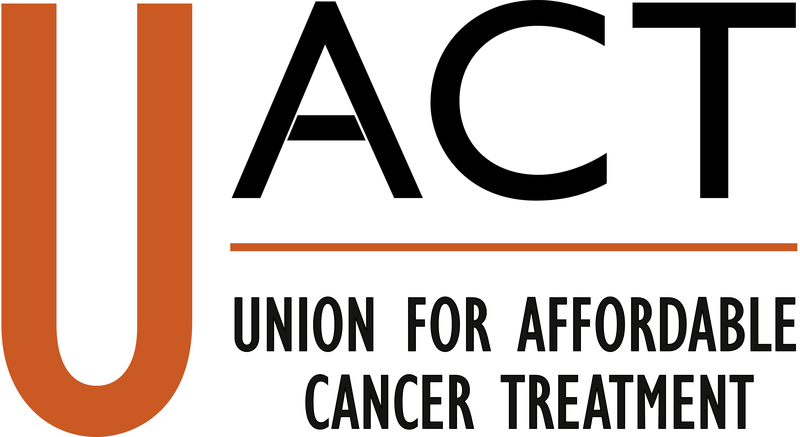 UACT and KEI have asked the NIH to stand up for US taxpayers and patients and to grant a march-in request on Xtandi, a high-priced prostate cancer drug. UACT statement on the final report of the UN Secretary-General High-Level Panel on Access to Medicines. UACT statement on the GSK annoucement regarding licensing cancer drug patents to the Medicines Patent Pool. March 30, 2017. UACT, along with sixteen other civil society groups, sent a letter to the EU High Representative for Foreign Affairs and Security Policy urging that the EU support a World Health Organization resolution that mandates a feasibility study on a fund for cancer research and development that delinks R&D costs from the price of health technologies. March 1, 2016. UACT delivered testimony at the Special 301 Review hearing at the Office of the US Trade Representative. February 27, 2015. Following the Special 301 Review hearing at the Office of the US Trade Representative, UACT submitted supplemental comments to USTR in order to address several comments and questions posed to UACT during the Tuesday hearing. The Special 301 Review and Report is a USTR's annual assessment of foreign countries' intellectual property policies and subsequent list of (in their view) the worst IPR offenders. February 24, 2015. At the hearing for the Special 301 Review, Dr. Manon Ress gave a testimony to reiterate and expand on UACT's official comments filed to the public comment period of the US Trade Representative's 2015 Special 301 Review. February 6, 2015. UACT submitted official comments to the public comment period for the Office of the US Trade Representative's 2015 Special 301 Review. To view UACT's comments on the Federal Register website, to read other organizations' submissions, and to post your own comments, please visit the federal register notice here. October 19, 2015. UACT, in conjuction with five other allied organizations, submitted a letter to the White House, USTR, and USPTO addressed to President Obama to express the deep concerns with the US opposition of a drug patent waiver for least developed countries (LDCs). The coalition that signed the letter included Oxfam America, Health Gap, Knowledge Ecology International, Public Citizen, Young Professionals Chronic Disease Network, and UACT. October 1, 2015. The Coalition for Affordable T-DM1, of which UACT is a member, submitted a letter to the UK government requesting the government to grant compulsory licences on the patents for the breast cancer drug T-DM1 (trastuzumab emtansine). July 26, 2015. UACT sent a letter separately to each delegation in the TPP negotiation. Linked here is a copy of the letter as it was sent to the USA delegation. The letter focuses on the effect of some of the proposed TPP language on cancer patients and their families regarding access to the best care available. Manon Ress of UACT will be on the ground attending the current round of negotiations from Tuesday July 28 to Saturday August 2, 2015. She can be reached for comment at manon.ress[at]cancerunion.org. The New York Times. Weisman, Jonathan. 30 July 2015. "Patent Protection for Drugs Puts Pressure on U.S. in Trade Talks." Al Jazeera America. de Bode, Lisa. 30 July 2015. "Trade deal threatens affordable healthcare for millions, experts say." January 14, 2016. UACT joined several organizations in submitting a request that the US government exercise its march-in rights on Xtandi, a prostate cancer drug initially developed at UCLA with federal funding. A press release outlining the issue and the request is available here. February 3, 2015. Following the direction of Tufts University President Anthony Monaco, UACT sent a letter to the principal researchers of the study on drug R&D costs, Joseph DiMasi of Tufts University, as well as Henry Grabowski of Duke University and Ronald Hansen of the University of Rochester. The letter to Dr. DiMasi reiterated our concerns about the lack of details about the study data, funding, and applicability to cancer drugs. Dr. DiMasi's reply will be posted on this page when received by UACT. December 8, 2014. UACT received a brief letter from Anthony P. Monaco, President of Tufts University, in response to our letter below requesting more information and transparency surrounding the drug R&D cost study. In his reply, he directed all questions to the principal researchers of the study. November 24, 2014. UACT letter to Anthony P. Monaco, Office of the President, Tufts University, copies to Michael Baenen, Chief of Staff, and Peter Dolan, Chairman of the Board of Trustees, Tufts University, regarding the Tufts University press conference to announce an estimate of $2.6 billion as the R&D costs for new drugs. The letter asks Tufts to provide more transparency about the funding of the press conference and the study, and to answer several questions about the relevance of the study to new treatments for cancer. December 29, 2015. On behalf of UACT, Manon Ress submitted a pre-hearing written statement discussing the impact of the TPP on cancer patients' and their access to life-saving medicines. She will provide oral testimony explaining these issues at a USITC hearing on January 13, 2016 regarding the TPP and its impact on US industry and consumers (Investigation No. TPA-105-001). November 17, 2015. Manon Ress delivered testimony on behalf of UACT in the USITC hearing on "Economic Impact of Trade Agreements Implemented Under Trade Authorities Procedure" (Investigation No. : 332-555). October 29, 2014. Letter to Ambassador Michael Froman urging him to cease USTR's pressure on India over compulsory license on dasatinib patents. Also available as a text file. The UACT letter to Ambassador Froman and the submission to the USTR Special 301 Report out-of-cycle review of India's IP policies refer to recent reports suggesting that USTR is pressuring the Indian government to reject a compulsory license on dasatinib, a drug for a rare form of leukemia. For UACT, the dasatinib dispute illustrates the shortcomings of US trade policy and its impact on cancer patients. The US government opposition to a compulsory license on dasatinib is a de facto endorsement of an excessive price, and will have predictably harsh consequences for leukemia patients who have developed resistance to imatinib. The UACT letter also challenges the assumption that USTR is advancing US interests by promoting stronger monopolies of medicines. October 29, 2014. Submission to the USTR Special 301 Report out-of-cycle review of India's intellectual property policies. Also available as a text file. NYT. Jonathan Weiseman. July 30th, 2015. "Patent Protection for drugs puts Pressure on U.S. in Trade Talks." The BMJ. Deborah Cohen. 04 November 2014. "US trade rep is pressing Indian government to forbid production of generic cancer drug, consortium says." The Hindu. 31 October 2014. "US asked not to pressurise India to reject cancer drug license." The Economic Times. 31 October 2014. "US asked not to pressurise India to reject drug license."